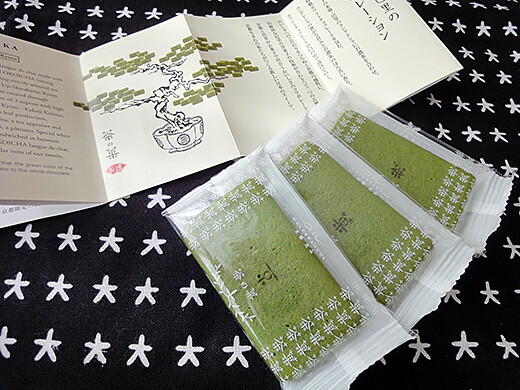 My friend gave me a small sweet present of Kyoto. 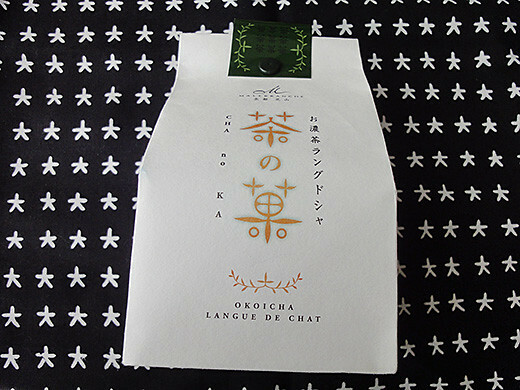 ‘Cha no Ka’ is langue de chat made with plenty of special Japanese green tea using strictly selected tea leaves grown in Uji-Shirakawa, Kyoto. 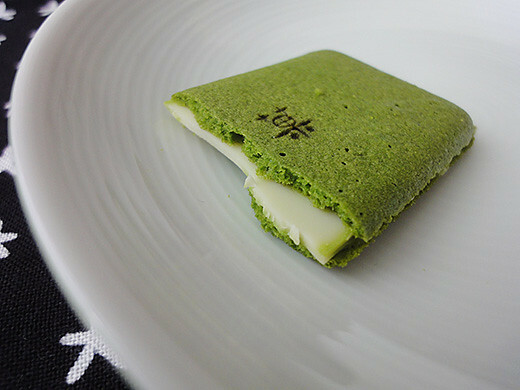 And, special white chocolate is sandwiched in between 2 pieces of green tea langue de chat. 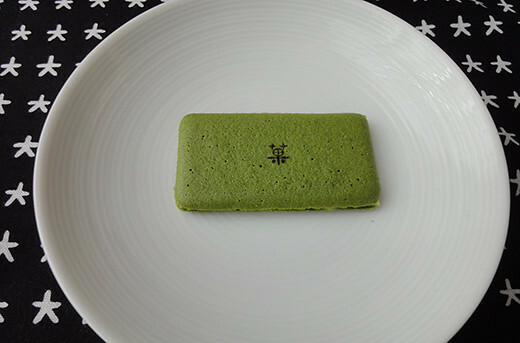 We are able to enjoy the aromatic green tea leaves and the taste also.